Flight, originally uploaded by recaptured. 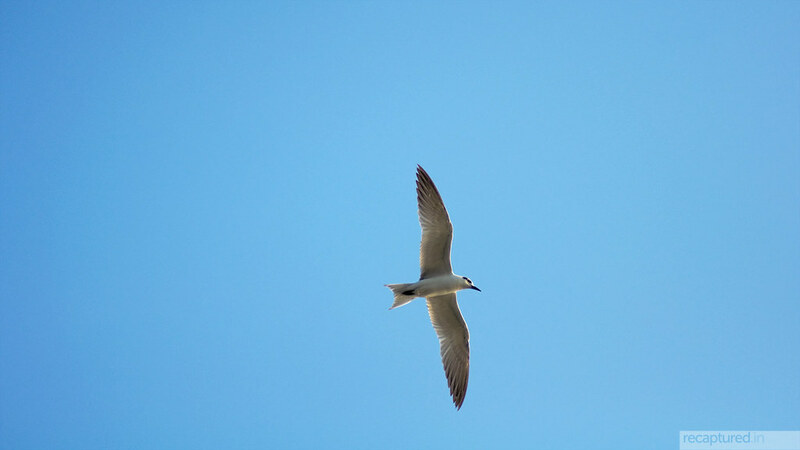 When you are on a trip and have a decent looking camera in your hand, everyone around you wants you to take a picture of the birds flying overhead, without thinking of whether you have the equipment to do a good job of it, or whether you are interested in even clicking that picture. You either explain to them that not every photographer with a big camera is after birds or has the gear to take their pictures, or you just succumb and click a picture. I did the latter. The Nikkor 70-300mm, my cheapest lens, pushing its limits here. Shot while waiting for the boat to Janjira. Previous Previous post: Explored again: Ajinkya!